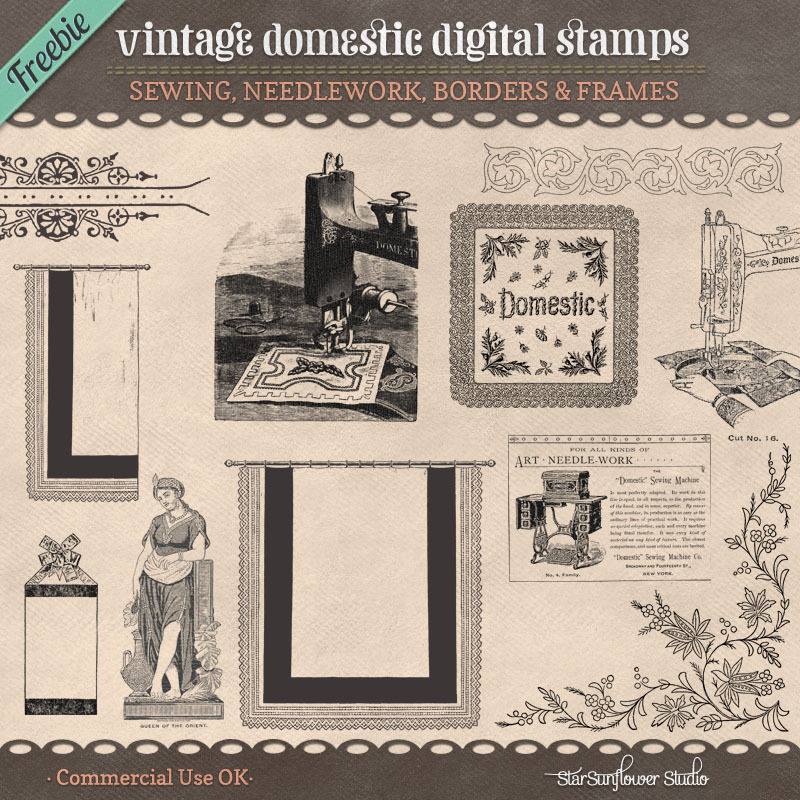 Up for grabs today is a sweet vintage clipart & brush set containing an ornament divider, embroidery design borders/corners, vintage sewing machine advertisements & images. 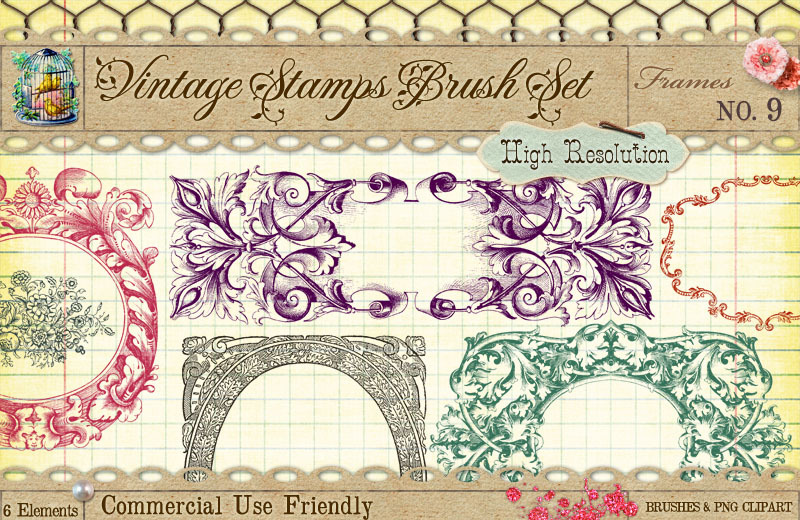 The brushes and PNG clipart are commercial use (cu4cu). The book containing these vintage advertisements was a bit smudged, but I could not resist sharing them as a CU4CU Freebie! I hope you like them. 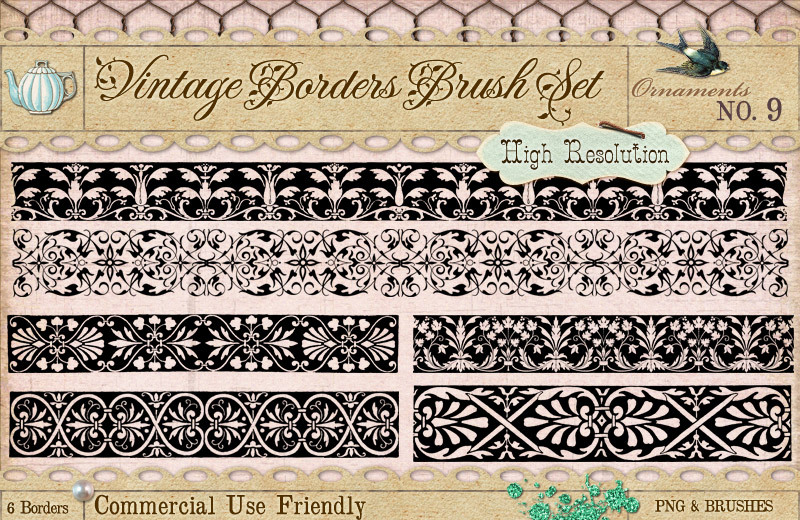 🙂 With this package you get 12 brushes and png clipart. Thank you for yet an other wonderful gift!! I tweeted and posted on Facebook so others can share your generosity. Thank you so much!! Love these!! You are so talented. It was a pleasure to stop by your place today and see your wonderful creations! THANKS FOR THE FREEBIES…THEY ARE AWESOME!! These are nice! Thank you! Thank you for al your support! I'm a quilter so these really speak to me. Thank you.